An overland adventure for those looking for wildlife, beach time, adrenaline activities, local culture and incredible scenery. Tour from Nairobi to Johannesburg and visit Africa's most famous game drives - Serengeti, Masai Mara and Kruger Park. Relax on the tropical beaches of Zanzibar and Malawi and experience the mighty Victoria Falls. These are just some of the attractions on this amazing African safari. We depart Nairobi early morning and head towards the Masai Mara National Park. This part of the adventure is conducted in smaller especially adapted game viewing vehicles. The journey to the Masai Mara takes in spectacular views of the Great Rift Valley. We set up camp on the edge of the park where we will spend the next two nights. We spend the next couple of days enjoying this famous game reserve. We spend the day in the park taking in the amazing vistas and open savannahs and enjoying wildlife sightings and photographic opportunities. The Masai Mara is renowned for its excellent game viewing and one can expect to encounter a variety of animals all year round including the Big 5. The Masai Mara is best known for its annual migration of huge herds of wildebeest and zebras. The timing of the migration varies according to rainfall patterns as the animals move to find better grazing. The migration is followed by a large number of predators such as lions, leopard, cheetahs and hyenas. Departing the Masai Mara we make our way back to Nairobi enjoying the rural areas of Kenya. We spend the night in Nairobi, where you have the opportunity to go out and enjoy the local cuisine. Today we depart Kenya and enter Tanzania after a busy border crossing. 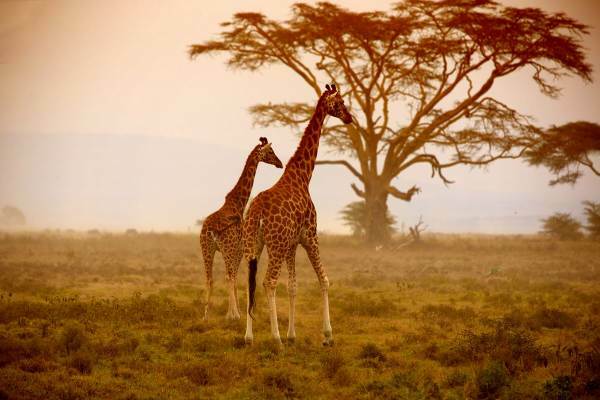 Our destination is Arusha – the “Safari Capital” of Tanzania. The town is buzzing with safari activities and we have time to visit the local craft and curio markets. We set up camp on the outskirts of Arusha and in the afternoon we enjoy a walk to one of the local Masai villages, where we get an insight into village life. Once again we transfer to smaller game viewing vehicles and head off for a fantastic wildlife experience. The day is spent game driving across the open plains of Serengeti where we will encounter a large variety of wildlife including the big cats. The Serengeti is one of Africa’s most famous reserves and lives up to its reputation for its incredible game viewing. The open savannah plains and Acacia trees set the scene. Our unfenced camp is an ideal setting to take in the night sounds of prowling hyenas and lions. Our wildlife experience continues as we safari across the plains to the Ngorongoro Crater. We ascend the crater where set up camp. The crater is a World Heritage Site and the views across this massive crater are stunning. Note that it can get cold on the rim of the crater and a jacket is recommended. We spend the morning on a spectacular game drive in the basin of the crater. One can expect to encounter all the large mammals except giraffe as they are unable to descend the steep slopes of the crater. We enjoy this wildlife sanctuary before we begin our return journey to Arusha. One can expect to see animals on the return drive. Our Serengeti/Ngorongoro safari comes to an end in the late afternoon. Today we depart the safari town of Arusha and head for the seaside town of Bagamoyo. We pass the town of Moshi, under the shadow of Mt. Kilimanjaro. Weather permitting we should get a sighting of this iconic mountain. We set up camp and one is able to explore this historical trading town. The beach is a short walk from the campsite. We head south along the coast line to the Dar es Salaam, the capital of Tanzania. This a huge bustling city and one can see the Arab influence in the architecture. Dare es Salaam is the gateway to the tropical island of Zanzibar. We set up camp on the outskirts of the town. The next couple of days are spent enjoying the pristine palm lined beaches of Zanzibar. Transfer up north and enjoy the turquoise waters and brilliant white beaches. Relax on the beach, have a massage and definitely take a dhow snorkelling trip to the coral reefs of the north to view exceptional marine life. Spend your evenings at one of the local beach bars or enjoying a delicious fish dinner at one of the local restaurants. We take our last dip in the Indian Ocean or do some quick local shopping before taking the ferry back to Dar es Salaam where we set up camp on the outskirts of the city. Leaving the city and ocean, we head south. Our drive takes us through Mikumi Game Reserve and hopefully will spot some elephants and giraffes living in the forest. We set up camp on the outskirts the reserve and spend the evening enjoying sun downers at the local bar. If time allows, one can do an optional game drive. From Mikumi, we head to Iringa, where we and visit Kisolanza Farm. This working farm provides much of the produce of Tanzania and is an interesting visit. It is a well-known stop over on the way to Malawi and one can expect to encounter other travellers. Traveling through the mountains of southern Tanzania, we pass tea and banana plantations en route to the Malawi border. After a long day of driving and border crossing, we set up camp on the beach at Chitimba. The next day is spent relaxing and swimming in this magnificent lake. Malawi is known as “the warm heart of Africa” and one can enjoy this beautiful country and amazingly friendly people. The locals are open to travellers and welcome you in their villages. The lake itself is spectacular and clear and offers excellent snorkelling and other water based activities. Lake Malawi is known for its abundant number of fresh water fish. Leaving Chitimba we journey through rural Malawi, passing rubber plantations and villages that rely on subsistence farming, and offer an insight into rural African life. We stop in Muzuzu to stock up on provisions and have time to take in the local markets. We then head to spectacular Kande beach. Located near Nkahta Bay, this is an opportunity to kick back and relax. Explore the town, horse ride, dive or just swim in this amazing lake. These 2 nights at Kande beach are definitely a highlight of the tour. Travelling across southern Africa, we leave Malawi and cross into Zambia. A stop at the market town of Chipata is a welcome break and we have time to explore the colourful markets. (Dependent on border crossing formalities). After a good night’s rest we head to the bustling city of Lusaka where we set up camp on the outside of this fast growing city – the capital of Zambia. Travelling from Lusaka, we head to the mighty Victoria Falls – the adventure capital of Africa. 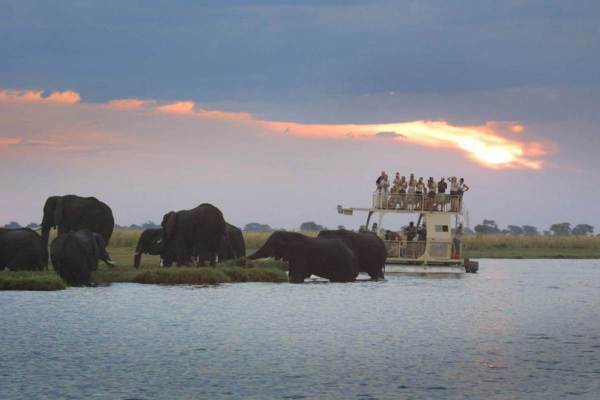 We set up camp on the Zambian side of the mighty Zambezi River. The “Zambezi Waterfront Camp” is our home base for the next few days. (Wi-Fi is available and this is a good opportunity to catch up). We spend the next few days enjoying a welcome rest with plenty of time to explore Victoria Falls and the surrounding area. There are loads of activities to partake in – see a few of the more popular options below. For our stay at Victoria Falls only breakfast will be served. For those looking for more of a cultural experience – you can explore the town and markets of Livingstone, take guided walk through a traditional village or visit the town of Victoria Falls on the Zimbabwe side of the Zambezi River. This is definitely one of the top destinations in Africa and your stay at Victoria Falls will be an adventure and highlight of your tour. Leaving Victoria Falls, we cross the border into Zimbabwe and head for the Matopos area. We pass through Bulawayo, the second largest city in Zimbabwe, and set up camp in the Matobos area.The Matobo National Park, with its unusual boulder formations is a rich cultural heritage area and has many Bushman paintings dispersed across the park. It is also the burial site of the infamous Cecil John Rhodes – a major player in the colonisation of Southern Africa. Matobo National Park is also known for its concentration of Black and White rhino, as well as a large number of leopards and Black eagles. Heading south, we cross the Limpopo River into South Africa. We head for our camp which is located just outside Tshipise. The resort where we camp has natural hot pools and one can spend the afternoon soaking in the pools or strolling in the surrounding woods. A great place to unwind before the Kruger Park part of adventure begins. Kruger Park is our next destination. 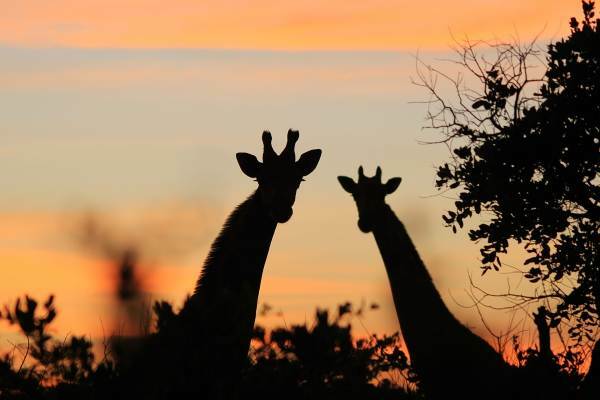 The Kruger National Park is South Africa’s largest game reserve and is a must do for travellers visiting Southern Africa. The park is known for its high concentration of wildlife, including the Big 5 and visitors are bound to see a large variety of game. We set up camp on the outskirts of the Kruger and on the first evening enjoy Shangaan tribal dancing. The Shangaans are the dominant local tribe of the Greater Kruger area. After an early morning breakfast, we head to the gate of the Kruger Park. Note that the game drives are conducted in specially adapted open game vehicle. These 4x4 vehicles offer great viewing as well as excellent photographic opportunities. The local guides have a load of experience and know all the best spots to find the animals. We enjoy a morning game drive, before having a welcome break for lunch and a rest. The afternoon is spent searching for any elusive species that may have eluded us. After a long day in the park, we head for camp for a well deserved rest. After breakfast we leave the wilderness of the Kruger area and head to the metropolis of Johannesburg. Out tour ends late afternoon or early evening and it is time to say farewell to our fellow adventurers. Optional activities (see list on Itinerary for complete breakdown).